The bright berry color of the 2-seater Sitsational Mod FX lounger brings a splash of nature into your casual furniture spaces and is appropriate for almost any decorating scheme. 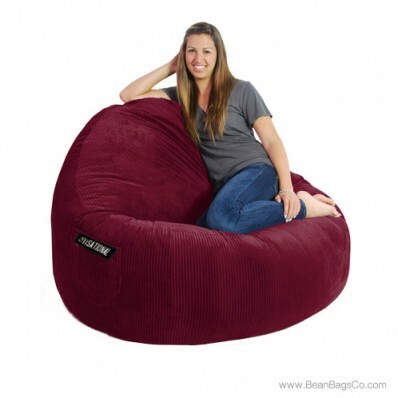 This handcrafted and well-designed bean bag chair in deluxe cord material promises years of satisfaction and will soon become the go-to seat for everyone in your house who wants to relax. 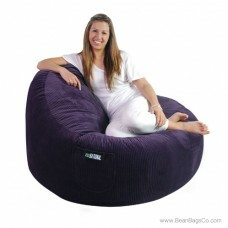 You can hardly blame them: with its soft cord exterior that cradles the skin in comfort, its ergonomic design that supports the head and neck for hours of relaxing pleasure, and its quality construction with easy-clean surfaces and recycled fiberfill, it is easy to understand why everyone loves this lounger. The handy side pocket provides space for your MP3 or iPod, your remote, or your reading material, and the two handy sizes mean you can order a lounger in bright berry for anyone in your family. 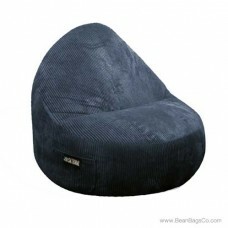 Two seating capacity makes this chair easy to share. This may be the best and last bean bag chair you ever buy. 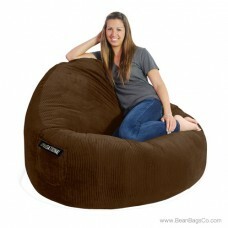 This comfy lounger is also available in the following colors: black, midnight, chocolate, and dark purple.